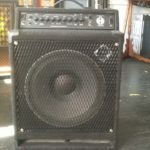 Trace Elliot 1510 bass speaker cabinet. Made in England. Sorry No shipments on this item.